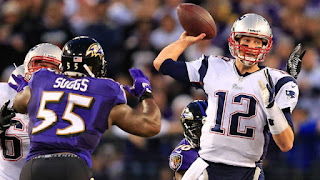 Ahead of the Monday Night Football showdown between the New England Patriots and the Baltimore Ravens taking place on December 12, old grudges are still intact – if you look at it from Terrell Suggs point of view. Their rivalry stems back from a game in 2010. Angry after taking a hard hit, Brady objected to the referee that a flag needed to be thrown. This didn’t sit well with Suggs and the two then feuded on the field and traded jabs via radio and interviews over the next few years. 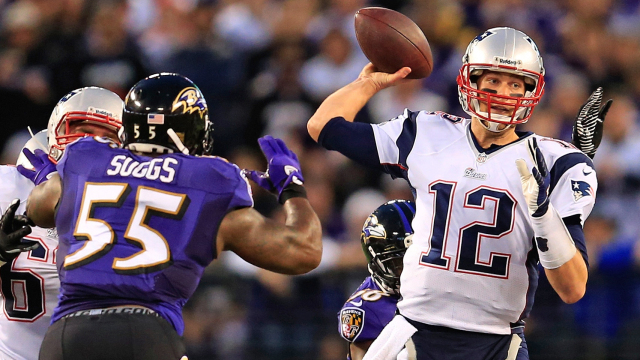 Although the two respect each other’s abilities and Brady has been quoted as calling him “phenomenal,” Suggs just can’t seem to let it go. It will be interesting to see how this plays out Monday night.